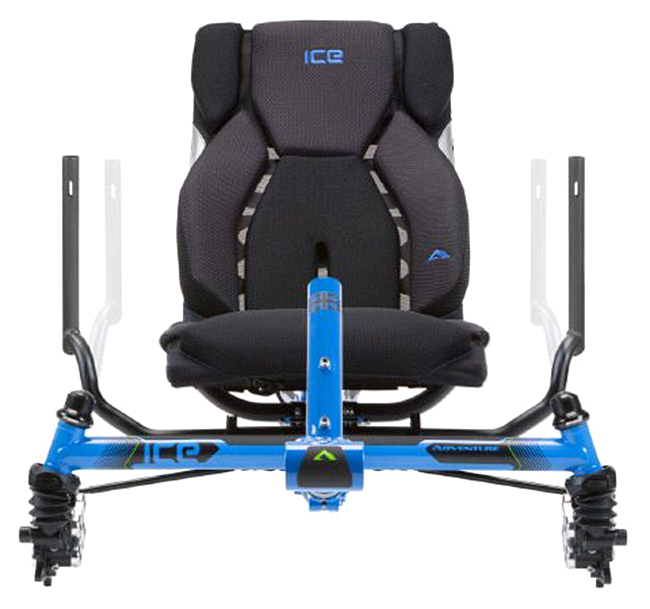 The ICE Adventure HD applies the engineering, design and functionality of the standard ICE Adventure range, but with more generous sizing. The Adventure HD now features our new designed handlebars which allow for a wider, roomier cockpit, an easy access swept cruciform, a new Ergo-Luxe ultimate in comfort mesh seat and a new handlebar clamping system with super secure indexed clamps ensuring easy alignment when unfolding and solid handlebar positioning. 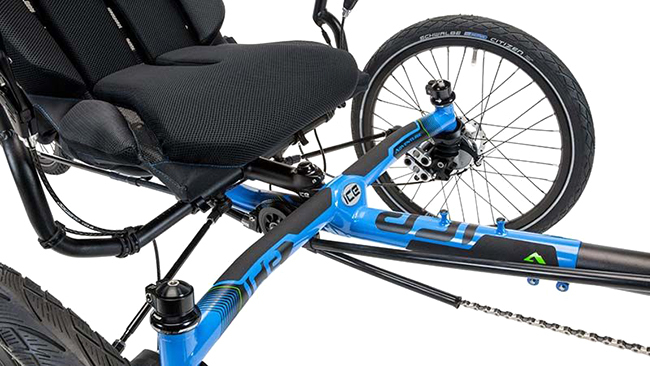 The optimized HD cruciform is made from 4130 Chromoly steel, strongly built to support riders up to 325lbs, and fitted with a wider and deeper Ergo Flow seat for additional comfort. An additional 2" on the x-seam length makes the HD perfect for taller riders. The Adventure HD range come with Schwalbe Big Apple tires as standard to provide a smoother ride with durability. Find out more in our Tech section. The Adventure HD now features our new easy access swept cruciforms. 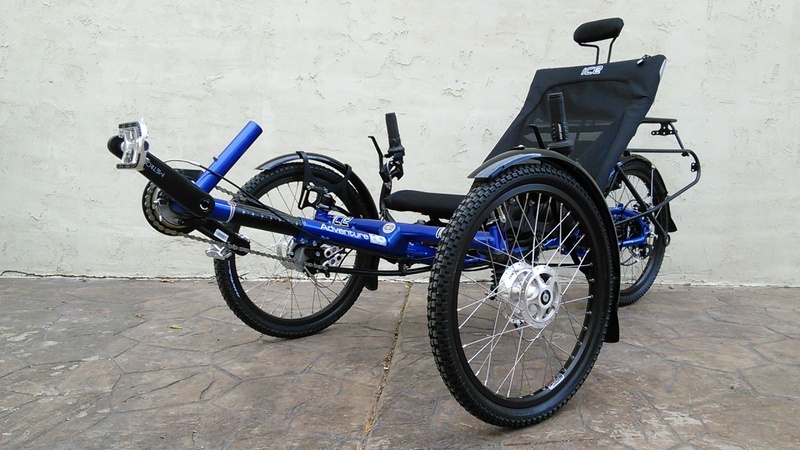 Allowing you to get your feet further under you for a more stable entry and exit of the trike. We have also slightly raised the seat position by 12mm. 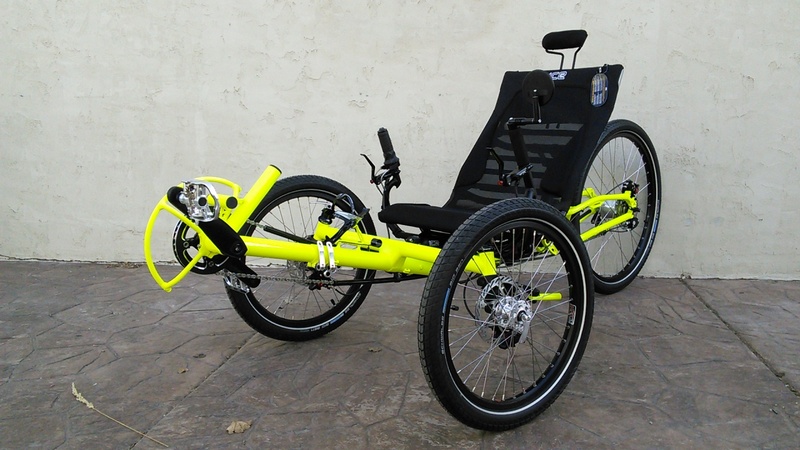 This allows for clearer access to remove the seat when folding the trike, this also creates improved heel clearance for smaller riders. Try it to believe it! 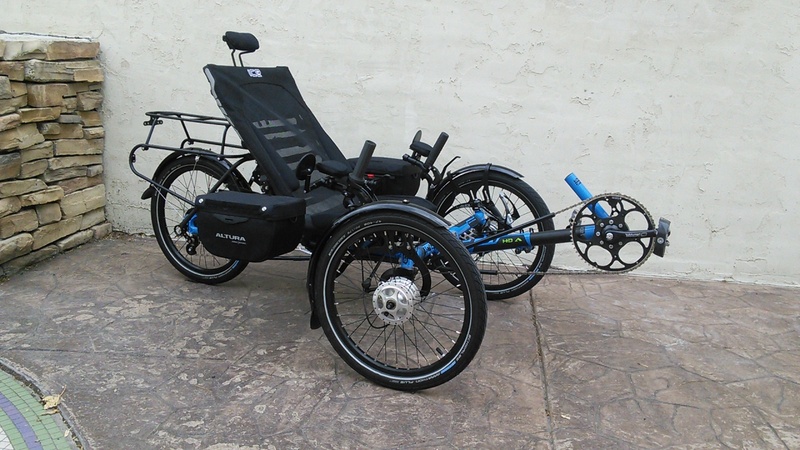 The Ergo-Luxe seat is the most comfortable trike seat on the market. Designed to provide the ultimate level of comfort and back support. 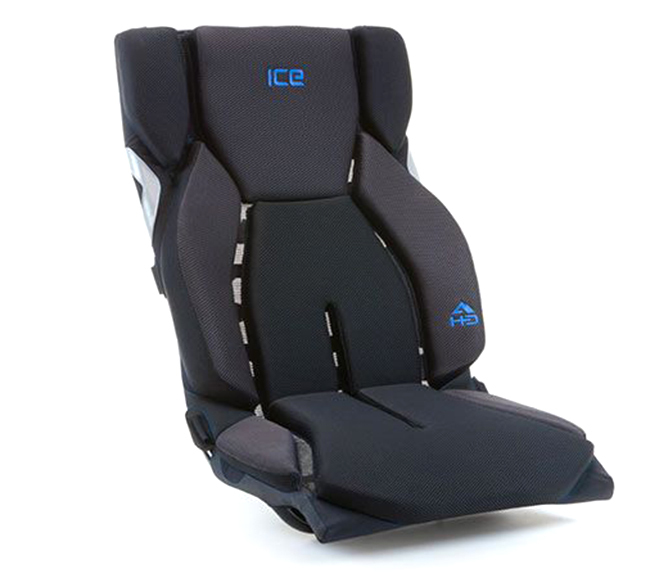 Breathable fabrics maximize airflow, the tension in the back can be easily adjusted. Integral Sidepod mounts eliminate the need for over the seat Sidepod straps. A handy top weather-sealed pocket for small items, such as keys and phones. Reflective side detailing keeps you safe at night. 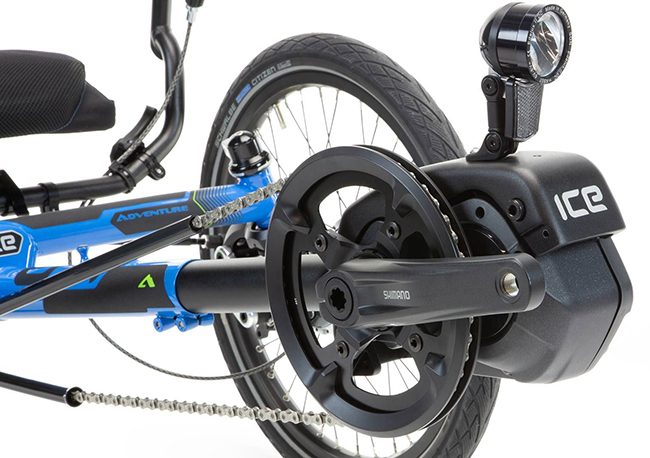 The Adventure HD models now feature a new handlebar clamping system with super secure indexed clamps to ensure the handlebars easily remain fixed in position at all times and return to your preferred position after folding the trike. 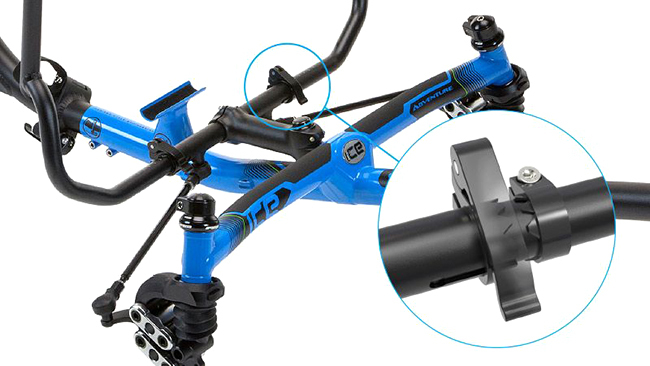 2 inches wider due to the stronger and wider cruciform that provides a larger cockpit. 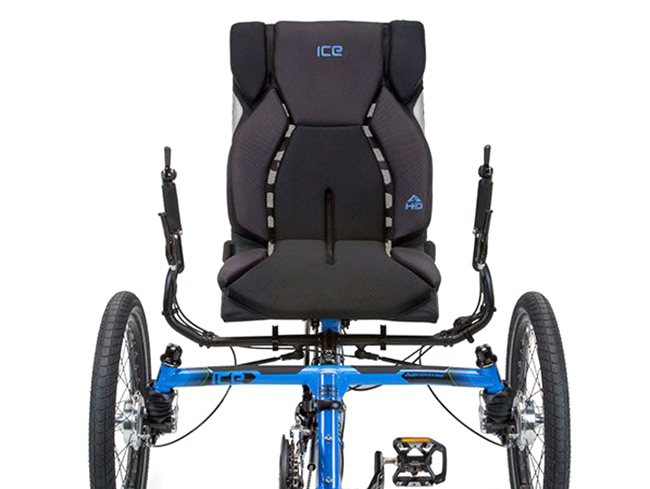 This is complemented by an HD Ergo Luxe Mesh Seat which is 2 inches wider and 2 inches deeper, coupled with the ICE Rider Positioning System the Adventure HD can be individually optimized. 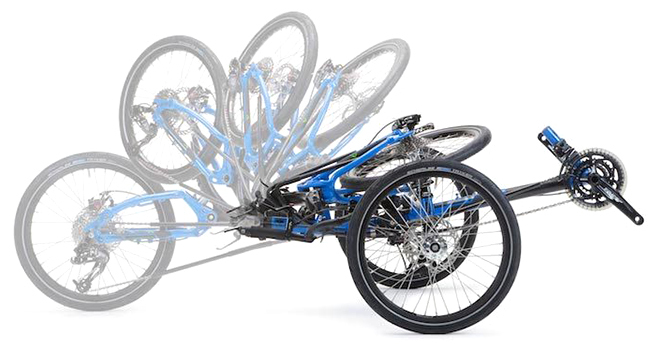 All folding ICE Trikes can be fitted with the Shimano STEPS E-Assist System. 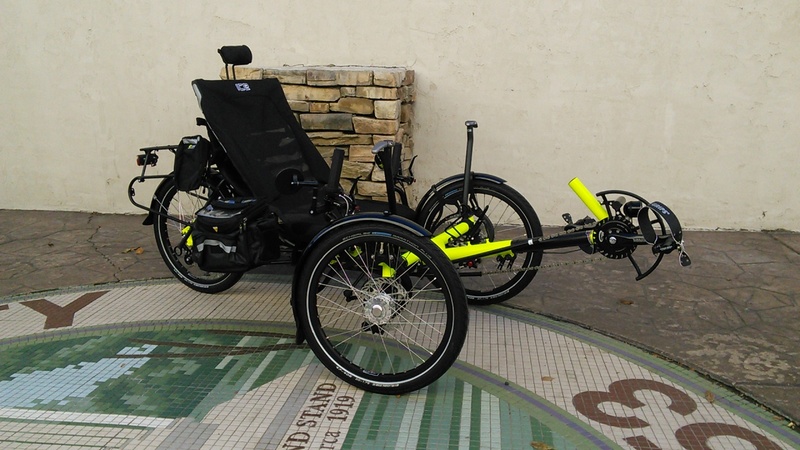 Beautifully integrated, available in two models: E6100 - Powerful 250w electric motor, 60Nm torque, 418 Wh or 504 Wh battery, Bluetooth connectivity, optional automatic rear hub gear shifting. 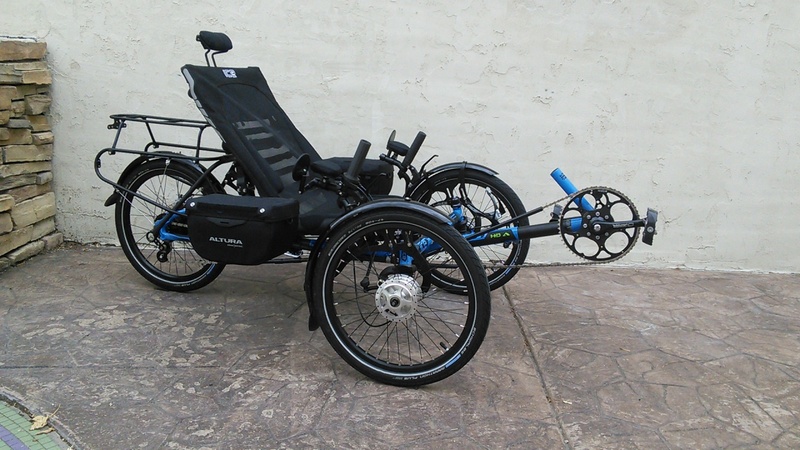 E8000 - Powerful 250w electric motor, 70Nm torque, 504 Wh battery, Bluetooth connectivity, optional XT Di2 electronic gear shifting. 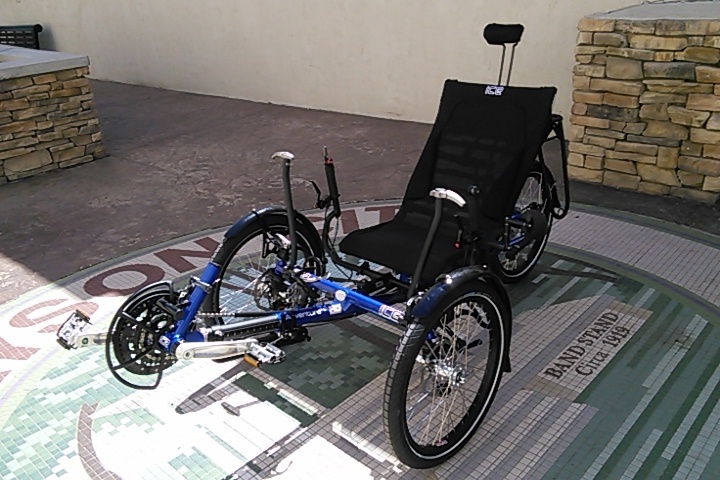 You'll find the Steps motor options located in the FRONT GEARING section of the configurator above.